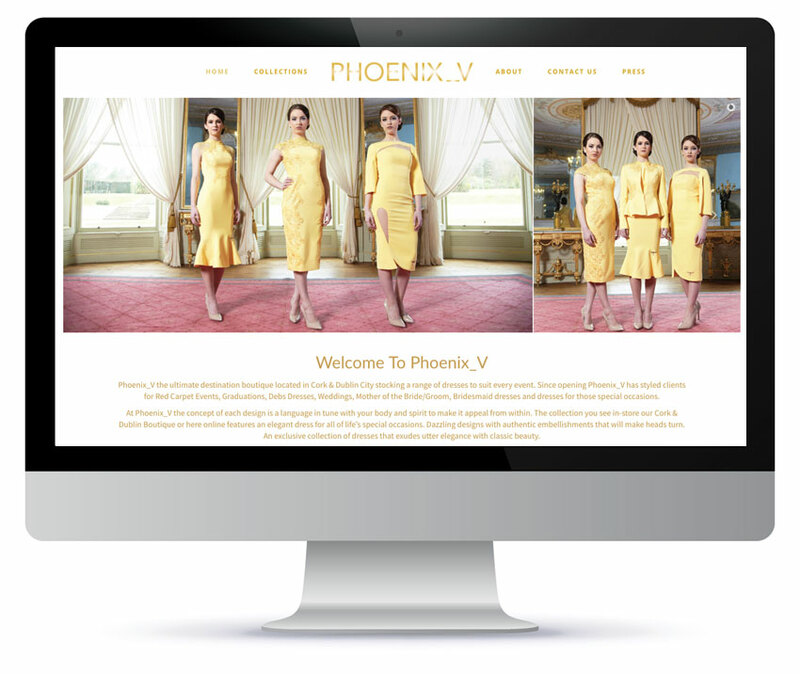 Phoenix V, the ultimate destination boutique located in Cork & Dublin City stocking a range of dresses to suit every event. Since opening Phoenix_V has styled clients for Red Carpet Events, Graduations, Debs Dresses, Weddings, Mother of the Bride/Groom, Bridesmaid dresses and dresses for those special occasions. They wanted a website that would showcase their designs so customers could browse the different styles and options before coming into the store.